Get out the tiara! Cinderella is in the house! How many of us grew up to the fairytales of Cinderella, Sleeping Beauty and Snow White, wishing our handsome prince would ride in and save the day? Yes, it would be nice to be loved by a handsome man, but most of us are women who are strong and able to take care of ourselves. It’s not just the handsome prince and the promise of a kingdom that intrigues us. It’s the dress and the tiara we all want and love! Right? 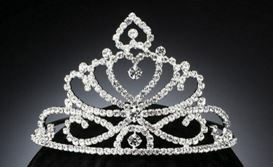 Okay, maybe not, but you have to admit you could look at beautiful ball gowns and shiny tiaras all day long. I’m a Big Bang Theory mega-fan and one of my favorite episodes was the one where Sheldon got Amy a “make-up” gift for being insensitive. The whole time she was telling him a gift wouldn’t begin to make up for his rude behavior she was reaching into the bag to see what it was. When she pulled out a glitzy tiara, she lost the cool, logical scientist and melted into a girlie, twittery female tickled to death by a tiara. Yeah, I think deep down we’d all like to wear a tiara and a gorgeous dress. Do you like tiaras and ball gowns? Have you dreamed of going to a fancy ball and dancing like one of the pros from Dance With The Stars until the clock strikes twelve? Share with me a childhood dream, a description of your perfect dress. Billionaire Online Dating Service. Let us find your perfect match! Desperate to find a date to his own charity ball to avoid taking a spoiled debutante, billionaire Gage Tate agrees to give his friend’s online dating system a try. 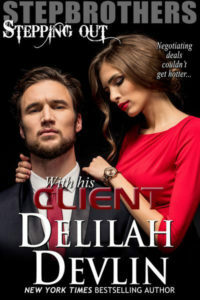 Tired of gold-diggers and society princesses, he wants a woman who isn’t after his money, and won’t become a bridezilla-wanna-be when exposed to his high-society world and the trappings of wealth. 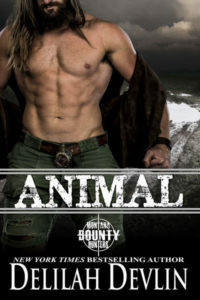 Fiona McKenzie returns home from college to discover the family ranch threatened by foreclosure. Desperate to find a way to earn enough money to pay off medical and mortgage bills, she’ll do practically anything to save the home she loves. Unbeknownst to Fiona, her stepsisters enter her name in an online dating system, which she flat-out tells them she doesn’t have time for nor the inclination. Her focus is on saving the ranch. When Gage’s date is reluctant to go out with him, he’s challenged to win her over. After a little digging, he discovers she’s in a tight financial situation. He sees this as an angle to pay for a date, help her out, with no strings attached when the charity ball is over. Only he didn’t count on falling for the pretty cowgirl, turned Cinderella. With her family ranch on the line, Fiona has no other choice than to accept Gage’s offer and she’s swept into a world of high-society most girls would consider a dream come true. Fiona isn’t impressed, but finds her prince charming a little to attractive to forget when the spell wears off. Note: Make a stop at Myla Jackson’s Ugly Stick Saloon in this story and say hello to old friends.